Nose: Expressive, gentle, heady, noble nuances of fruits and rancio (tones of toasted bread and nuts), complemented by undertones of peach liqueur, wood, honey, nutmeg, & cinnamon. Palate: Balanced, clean, harmonious, complex, with notes of plums, ripe pears & tobacco. Exquisite finish with stunning length. The Raymond Ragnaud Heritage Grande Champagne Decanter Edition Cognac is something truly special - and a real collector's item. The Cognac itself is 'Heritage', a delight that was aged for over half a century before it was deemed at the perfect point to be bottled. It's a unique, Grande Champagne Cognac - powerful and intense in character, with an elegant aftertaste and stunning length of finish. But the wonders of this Hors d'Age Cognac don't end there, because the presentation is also a great luxury. The decanter has been created by Sèvres Crystal, and the simplicity of the design is what makes it so special. Everything about this wonderful decanter edition screams luxury - with the finishing touch being the beautiful wooden presentation box. 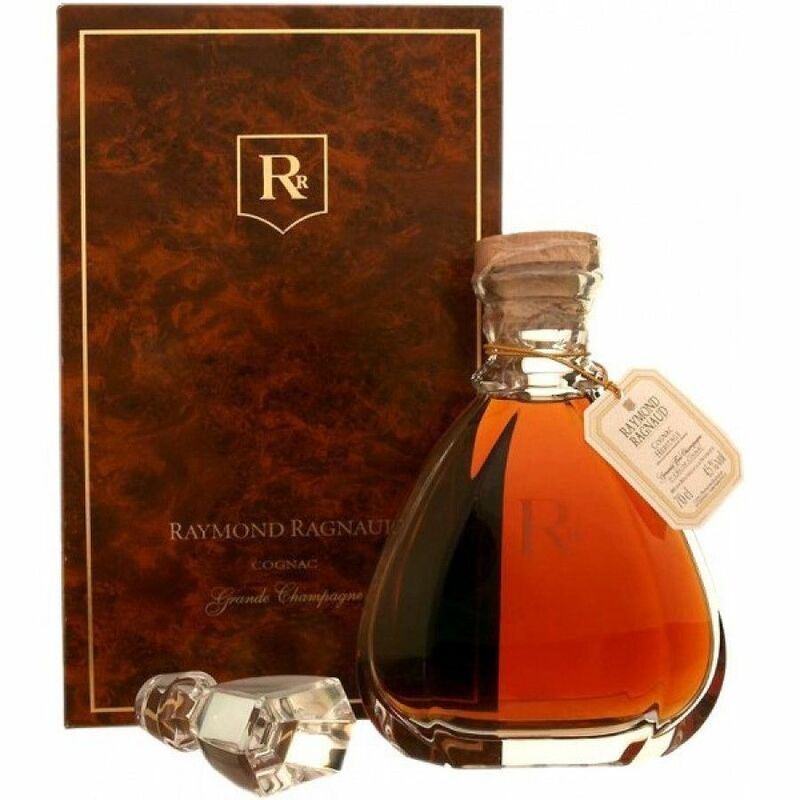 Please also check out our Raymond Ragnaud Heritage Grande Champagne classic bottle Cognac.